Chinthurst, St. Stephens Hill | Launceston Then! 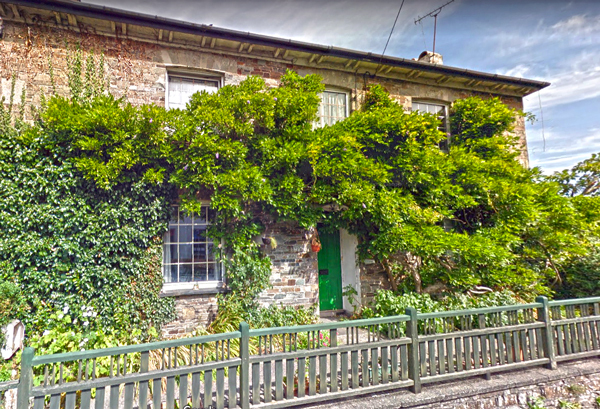 About 1919 Mr and Mrs Birch, with daughter Lettice, came to Cornwall and set up house on St Stephens Hill, Launceston; they named the house ‘Chinthurst’, and lived there until the death of Mr Birch. Mrs Birch moved to Underhayes, St Stephens, a newly built house at that time. Post & Weekly News 22 August, 1936. Chinthurst Withdrawn at £900. Chinthurst, St Stephens Hill, Launceston was offered for sale by Messrs J Kittow and Son, at the White Horse Hotel, on Friday. The residence, with an enclosure of pasture land with frontage to Roydon Road, of about 230 feet, was first offered as one Lot. The residence comprises 4 bedrooms, bathroom, dining, drawing and morning rooms, domestic offices, electric light, town water, garage, vegetable and pleasure gardens. The first bid was of £800, the second of £900, at which it was withdrawn, to be offered as various lots which were so underbid the whole was withdrawn from sale. The vendor was Mr CW Birch.